For use with Oki® Microline 590, 590N, 591 and 591N printers. 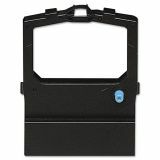 Oki 52106001 Ribbon, Black - Matrix nylon printer ribbon with re-inker is designed for use with Oki Microline 590, 591; Unisys AP1327 and AP1359. Ribbon is seamless and yields 4 million characters.